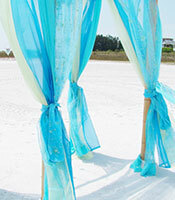 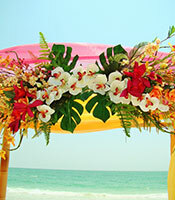 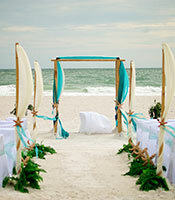 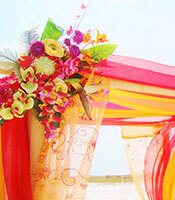 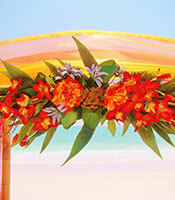 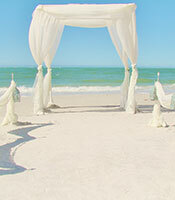 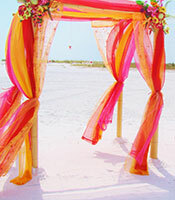 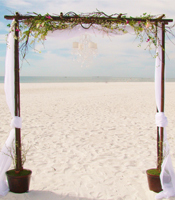 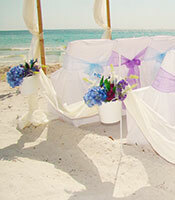 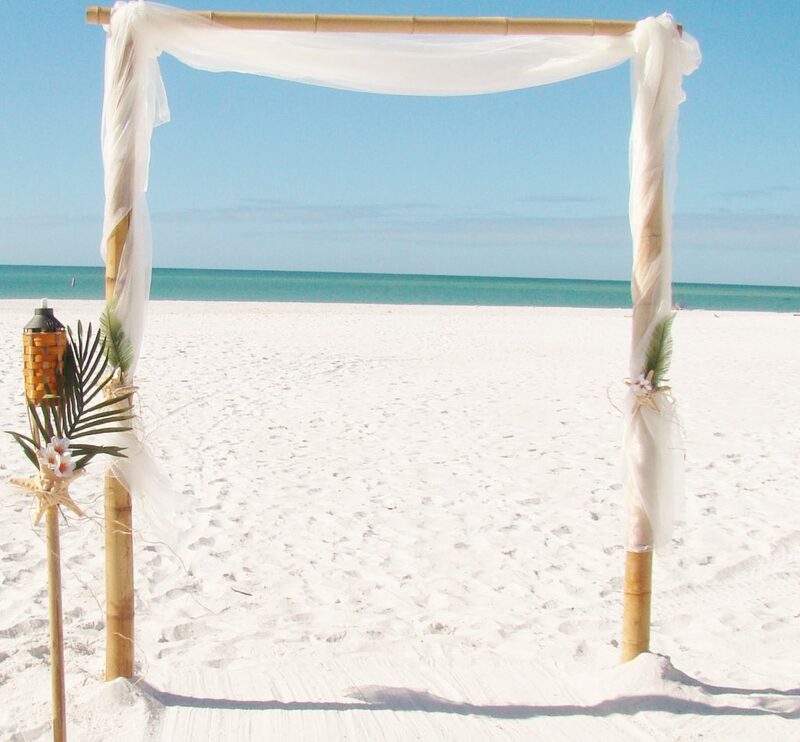 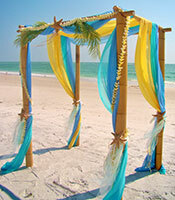 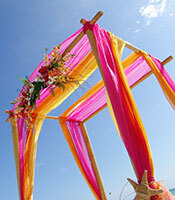 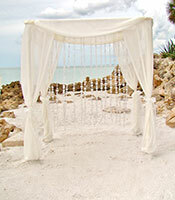 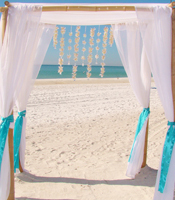 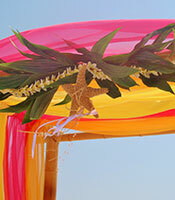 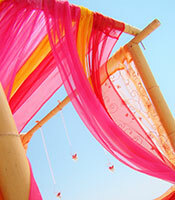 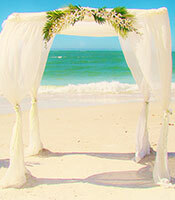 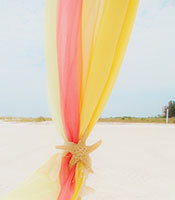 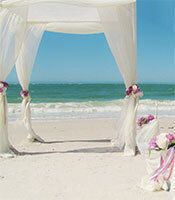 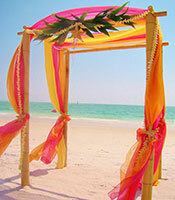 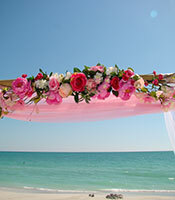 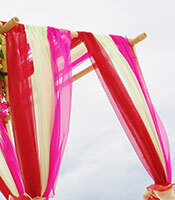 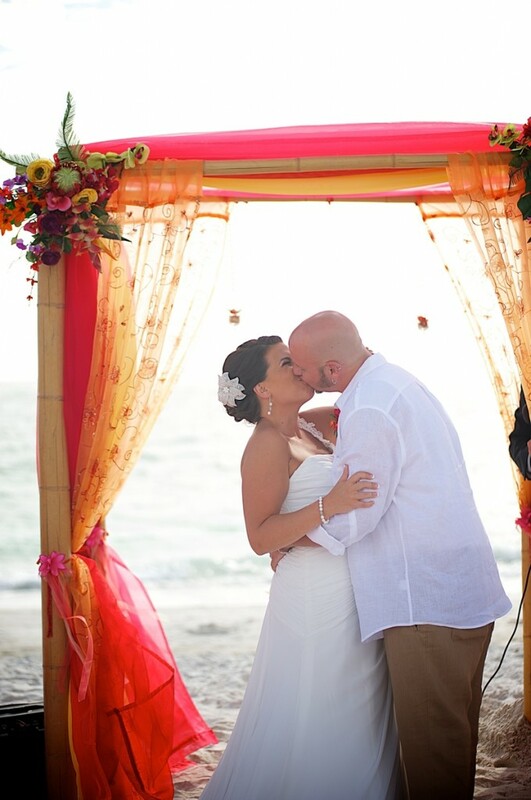 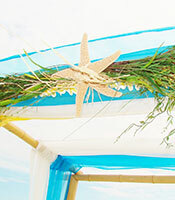 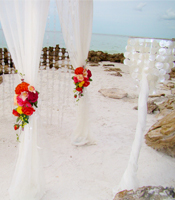 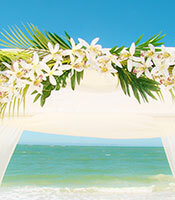 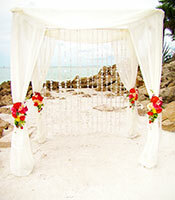 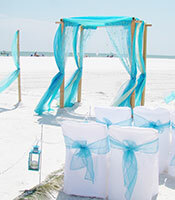 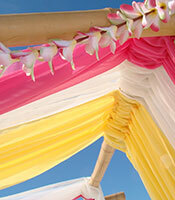 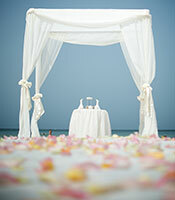 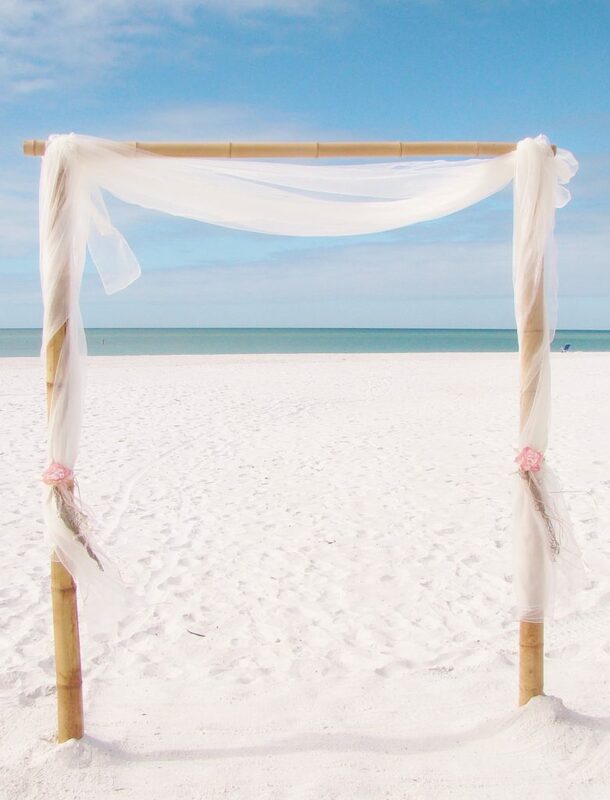 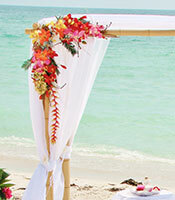 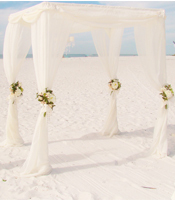 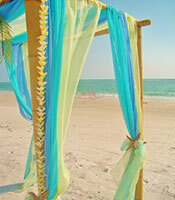 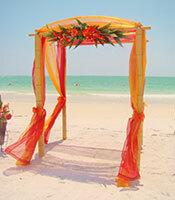 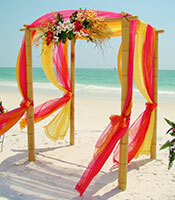 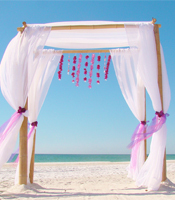 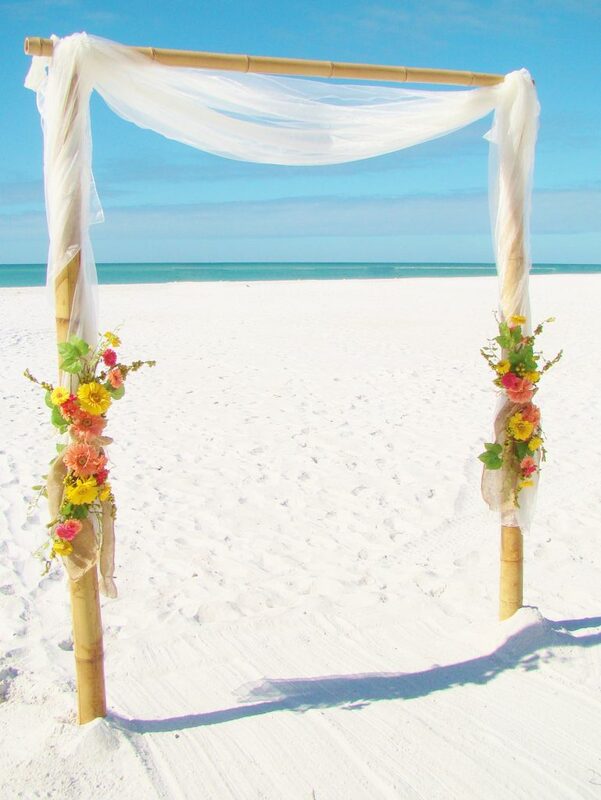 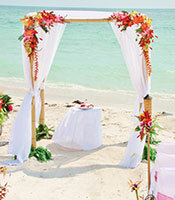 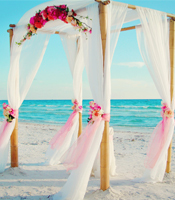 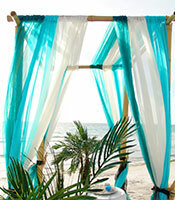 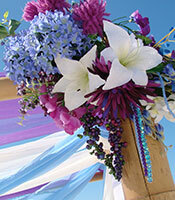 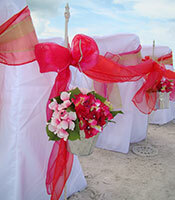 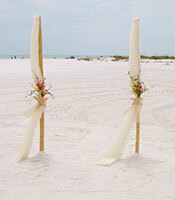 Your special day deserves the best and largest selection of Florida beach wedding arches and canopies. 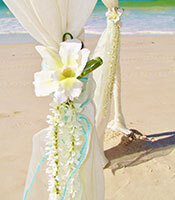 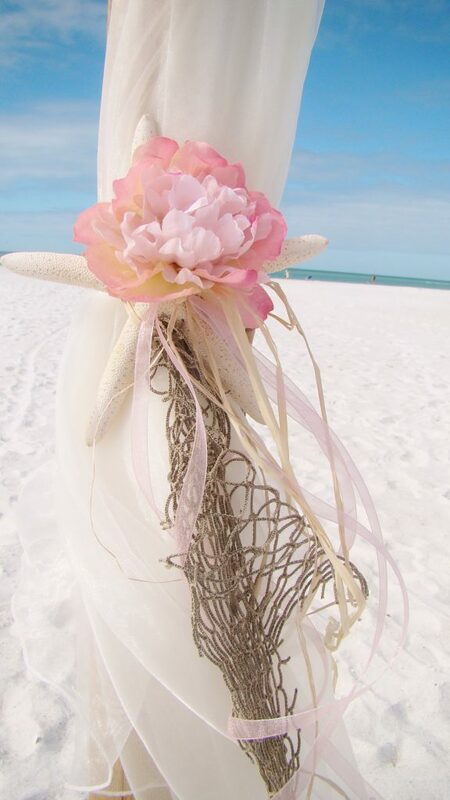 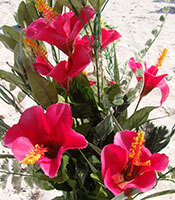 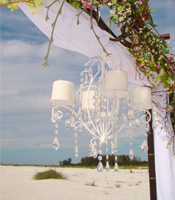 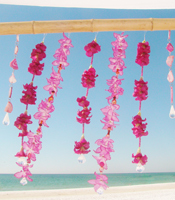 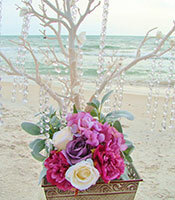 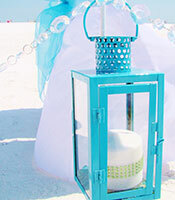 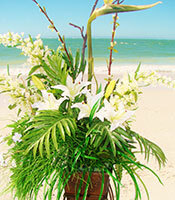 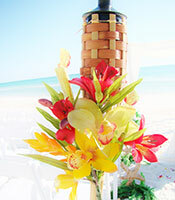 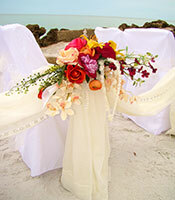 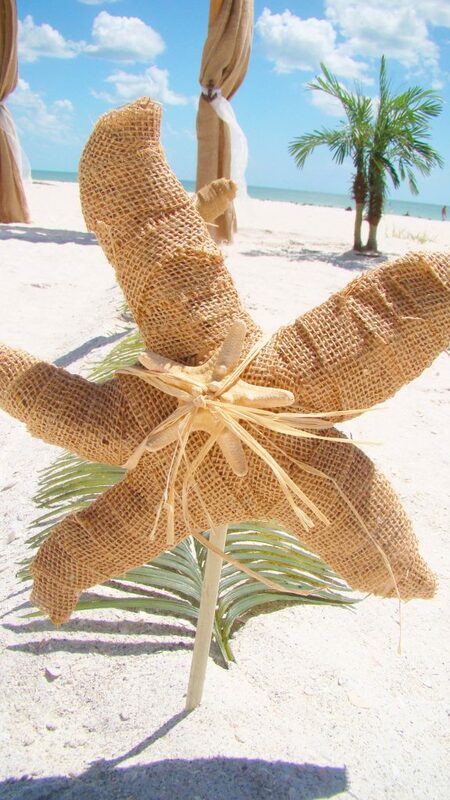 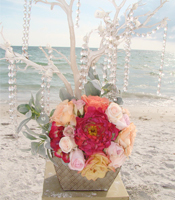 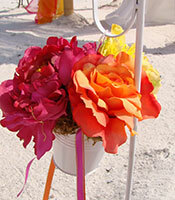 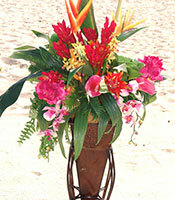 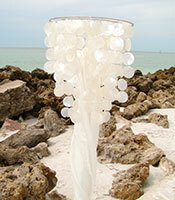 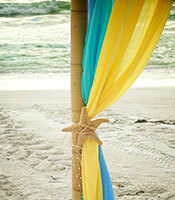 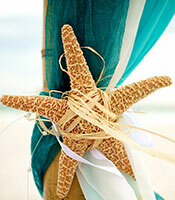 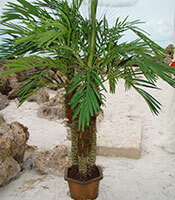 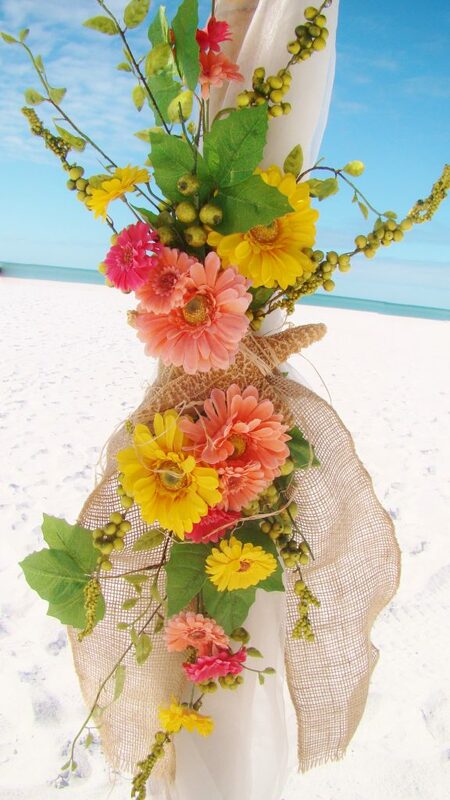 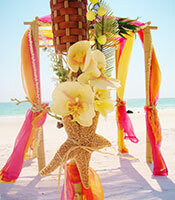 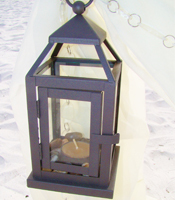 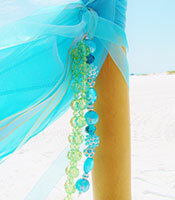 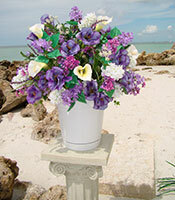 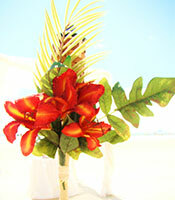 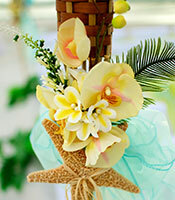 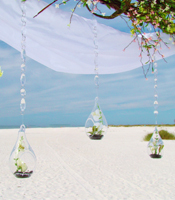 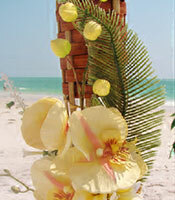 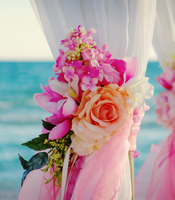 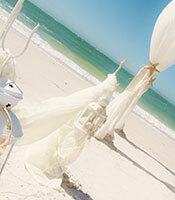 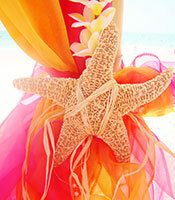 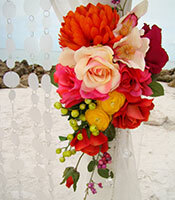 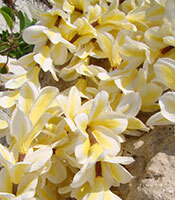 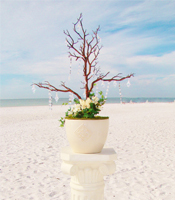 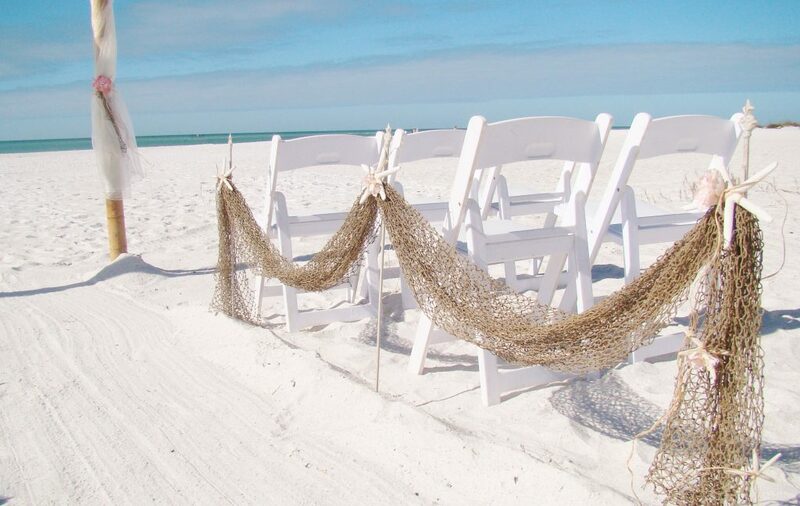 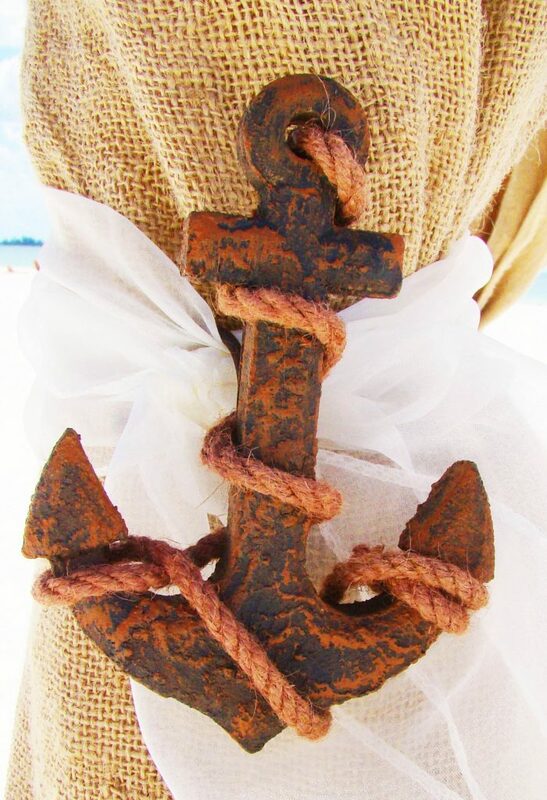 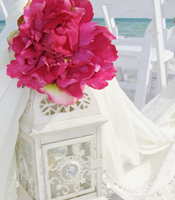 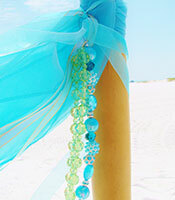 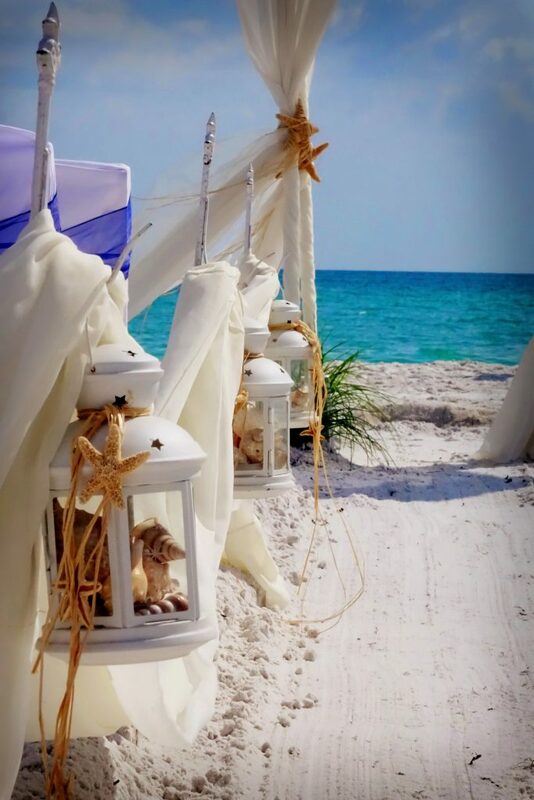 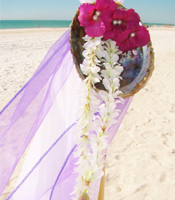 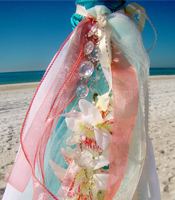 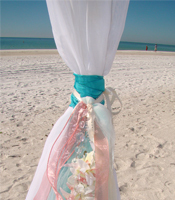 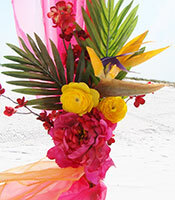 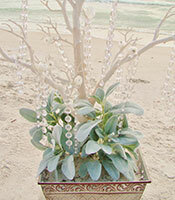 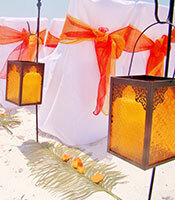 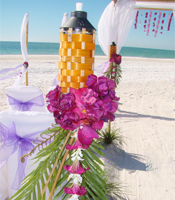 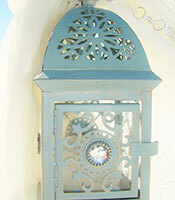 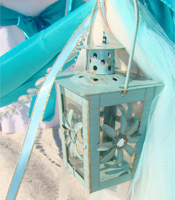 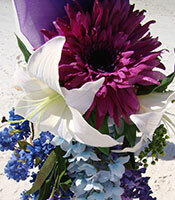 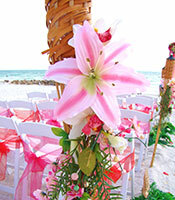 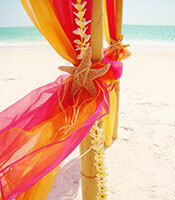 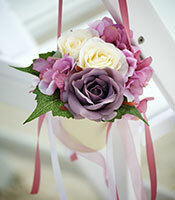 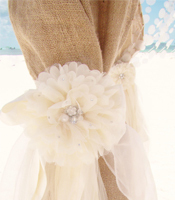 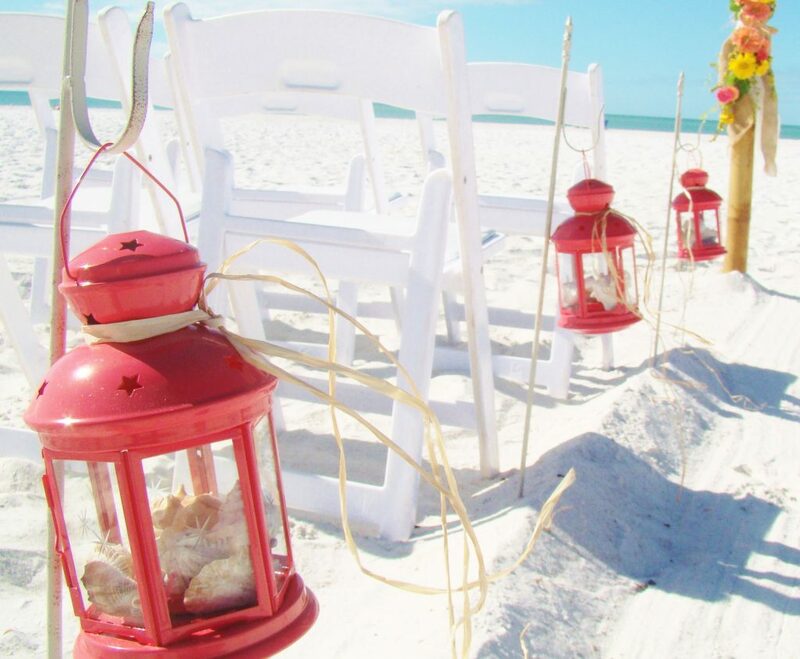 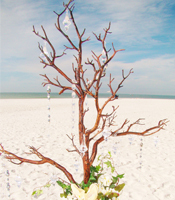 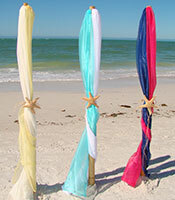 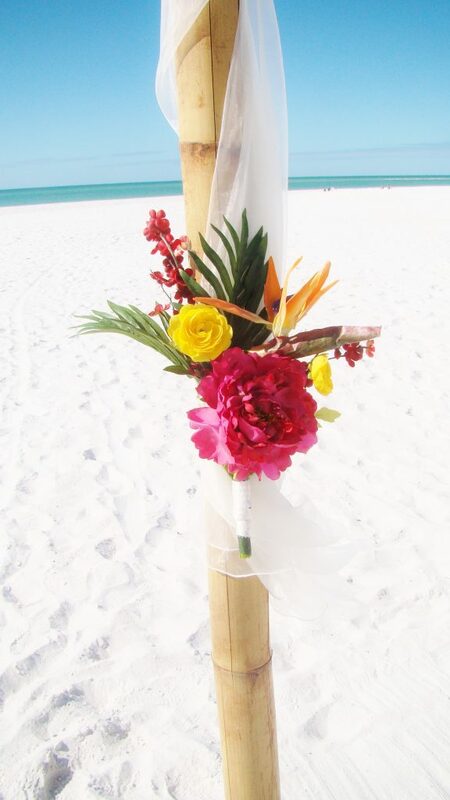 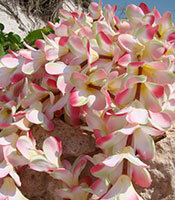 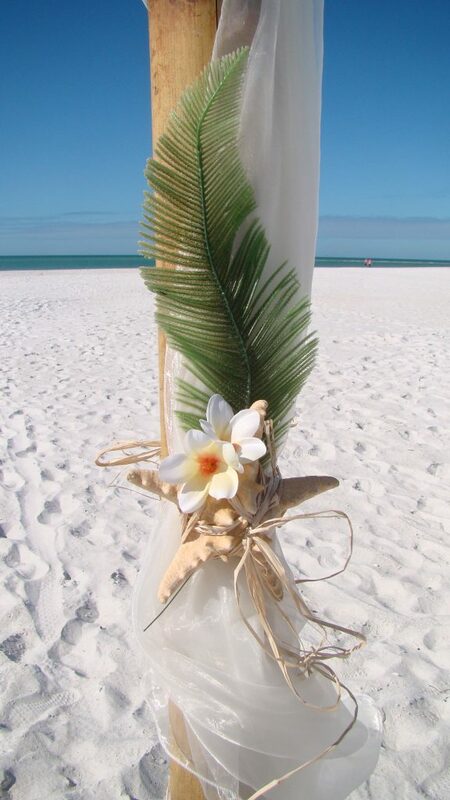 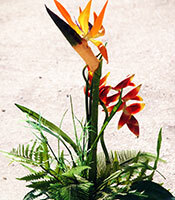 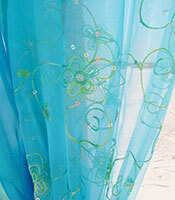 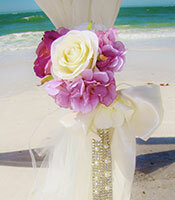 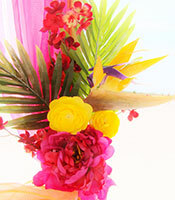 Please visit our gallery below to view the best beach wedding decor offered on the Gulf Coast of Florida. 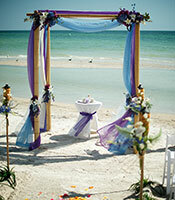 Call us for more information at 1-800-906-6275. 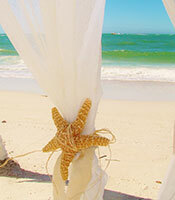 We’re waiting to assist you! 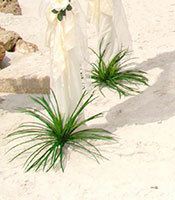 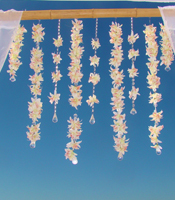 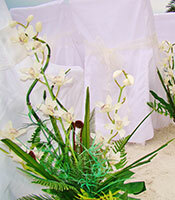 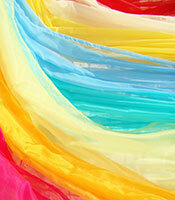 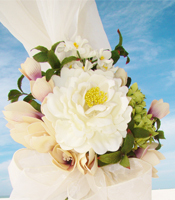 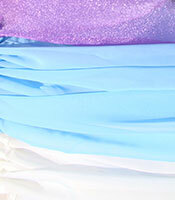 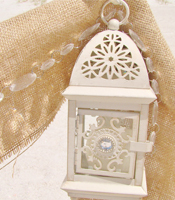 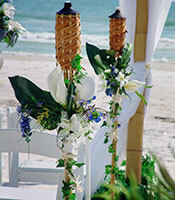 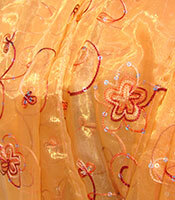 * Bamboo Sails with Ivory Or White fabric are available for both the Alter and Aisle.